As a painter, Csuri often tried to overcome what he felt was the brutal and mechanical feeling of three-dimensional computer graphics. In Brick Landscape, the artist used the scan of a photograph of bricks to bring warmth and texture to his work. 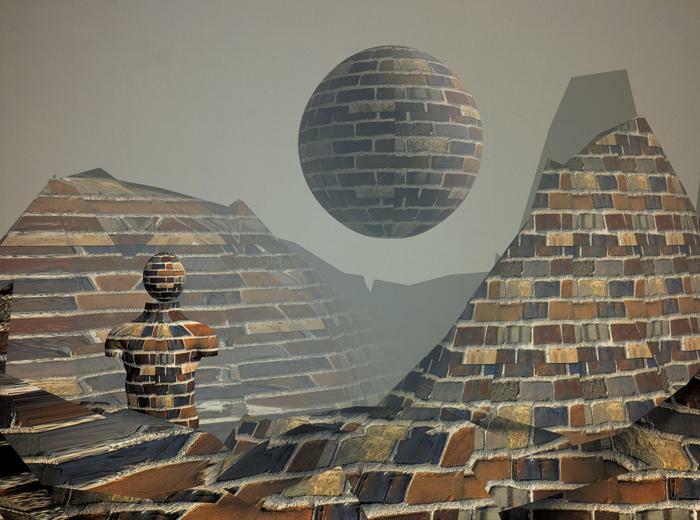 Csuri suggests that Brick Landscapes floating, bricked sphere was influenced by Belgian Surrealist painter René Magrittes Castle in the Pyrenees (1959).